In 1953 twin brothers Gerald and James were born, and though they came into the world together, their lives took very different paths. James struggled to pronounce his brother’s name, calling him “Ro Ro” instead, which has stuck with Gerald to this day. Though James graduated from Jefferson High School, Ro Ro had a harder time. Ro Ro dropped out of high school after the ninth grade, but his educational journey was far from over. 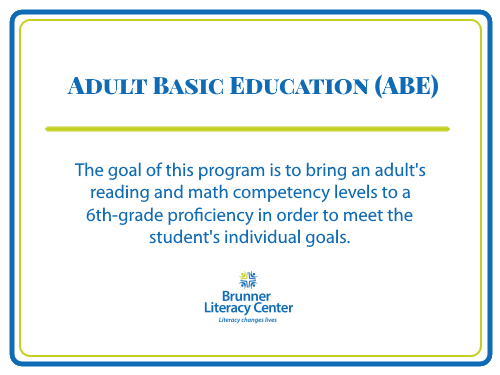 Throughout his adult life, Ro Ro struggled with literacy until he found the Brunner Literacy Center. He was almost sixty years old when he began working with his first tutor, Sister Carlotta, and with Sister’s help, he committed himself to his goal of learning to read. After some time, Ro Ro found it hard to maintain his tutoring schedule and stopped attending his sessions. Sadly, Sister Carlotta passed away during their time apart. Two years later, Ro Ro resolved again to meet his literacy goal, and he returned to the Brunner Literacy Center, working this time with Becki, a dedicated teacher who had previously done Christian missionary work in Europe, Africa, and Central America. Becki’s strong commitment to serve the underserved, and her caring, vivacious personality were exactly what Ro Ro needed. Becki’s encouragement compelled Ro Ro to work harder than ever. After a lifetime of illiteracy and years of hard work, Ro Ro can read. Ro Ro is proud of himself too. Literacy has changed his adult life. He can finally read. He can send and receive text messages to his friends and family, and he can use “real words.” Ro Ro’s story is a wonderful testament to the fact that literacy really does change everything.